Studio on raised ground floor, in a quiet area. I consider any term rental. Pretty 2 rooms of 30 m ² in calm classified 2 stars on the 1st floor of a small building with private parking. Free for spa guests or holidaymakers. Sleeping corner with bed 140 (very good mattress) and sofa bed in the living room with pillows, bolsters, blankets and duvets. Bright veranda overlooking a nice little park. Very well equipped with flat screen TV, radio, ceramic hob, oven, microwave, fridge freezer, washing machine, iron and ironing board, vacuum cleaner, etc. 10 to 15 minutes walk from the spa (750 m) and all amenities (shops, market, pharmacy). 1 or 2 people per room in a garden villa in Sète, Triolet district, 140 bed private bathroom with shower, separate toilet m private. Balcony, small terrasse. Télévision, Wi-Fi air conditioning. Easy access, proximity A9 Enjoy one night, a weekend, for a stopover, ideal, calm and friendly on the edge of the sea. 5 min from downtown, Casino, Theater of the Sea, G. Brassens museum, Paul Valery fishing port, restaurants and close to the sandy beaches. Mount Saint Clair, beautiful view of the city and its canals, the sea. Breakfast with homemade jams, tourist information. In a villa with garden, Triolet neighborhood rents 1 independent room with the locals. 1 or 2 persons per room, bed 140, televise, WiFi. Private bathroom with shower, separate private toilet, balcony and private terrace. Easy access near the A9. Stopover, ideal, calm and friendly. A 5-minute drive from the sandy beach, promenade LIDO, downtown, casino, theater of the sea and its summer festival, museum G. Brassens, the fishing harbor, restaurants, Mt. Saint Clair magnificent view of the city's canals, the sea Thau lagoon and its oyster beds. Breakfast with homemade jams. Near the Spa, in front of the pond, a very friendly and small studios to 2 floor with elevator, opposite the beach of the Etang de Thau. Trade within 300 m. Lunch options on the south balcony. For spa guests or small friendly stays. In a villa with garden in Sète, district of Triolet, rents 1 independent room homestay. Possibility of a second adjoining room child / friends. 1 or 2 persons per room, bed 140. Private bathroom with shower, separate private toilet, balcony, small terrace, television, WIFI. Easy access, close to the A9. Ideal, calm and friendly. 5 minutes by car from its sandy beach and the city center, its casino, Theater of the Sea, G. Brasens museum, fishing port and restaurants. Mont Saint Clair, magnificent views of the city and its canals, the sea, the pond Thau and oyster beds. In a garden villa in Sète, district Triolet, rents an independent room with the locals. Possibility of a second adjoining room children / friends. 1 or 2 people per room, bed 140. Private bathroom with shower, separate toilet private balcony, terrace, TV, WIFI. Easy access, close to the A9. Ideal, quiet and friendly. 5 min drive from the sandy beach and the town center, casino, theater de la Mer museum G. Brassens, fishing port and restaurants. Mont Saint Clair, beautiful view of the city and its canals, the sea, the Etang de Thau and its oyster beds. Breakfast with "house" jams. Studio fully furnished with terrace, located 200 m from the spa, the beach and the town center. Very quiet area. Terrace facing south-west, furnished. The studio is located near the first spa resort in France. WiFi in the apartment. Many parking lots around and outside the residence. Towels and linens are provided. Pretty T2 37 m2 class 3 ⭐️. Ground floor in park 5 min from the thermal baths and the pond. All comfort (washing machine, dryer, dishwasher) separate bedroom with 1 double bed, 1 living room with 1 sofa bed - shower room -WC all shops nearby. Tariff 3 weeks from 600 to 980 euros according to season (possibility to rent by the week). Pretty T2 of 37 m ², classified 3 stars. Located on the ground floor, in a park, 5 min from the thermal baths and the pond. Accommodation with all comforts (washing machine, dryer, dishwasher). Separate bedroom with 1 double bed, 1 living room with 1 sofa bed, a bathroom with shower and toilet. All shops nearby. Rates vary according to the season (possibility to rent by the week). Nice quiet apartment with internet access and WiFi, room overlooking the pond of Thau. Access to the toilet, bathroom, and to the whole apartment for tenants with long durations. Bedroom with a double bed and 2 bedside tables, bedside lamps. Charges included for short periods, and not included for long durations. Large balcony on a wooded view, 3 min walk from the thermal baths, and 5 min from the shops. On 3 levels, a pleasant village house close to the Thau lagoon. On the ground floor; a large living room, a lounge, a fireplace, a dining room, a fitted kitchen. 1st floor, a room where there is a double bed and a bathroom-toilet. 2nd floor; a bedroom furnished with a double bed and another single bed. Enjoy the view of the pond. T2 furnished and equipped for 2 people, on the ground floor, with terrace, garden and private parking. Air conditioned and equipped apartment, WiFi. Comfort. Rental by the night, the weekend, the week or the month. Very well located, in a villa, in a quiet residential area 2 minutes from the pond Thau, 5 minutes from the beautiful beach of Lido, the port, downtown Mont Saint Clair and the Corniche. Very nice room with new bedding and a private bathroom. It has 1 bed 140, 1 bedside, 1 dresser, 1 table, 2 chairs, TNT television and 1 cupboard. You have the right to access the terrace. Free WiFi and free parking nearby. Bed and bathroom linen is provided. We also do table d'hôte with set menu at 12.50 € and full breakfasts are 4 € per person. Asian neat cuisine and very friendly atmosphere. The room is on the first floor in a small townhouse. It is free to park around. It is 10min walk from the station, near the channel center and bus stops. It has a small balcony and a personal bathroom with access to kitchen and internet. Quiet room for people my friendly environment. Rents a room of 15 m2 directly on the terrace. You have an independant kitchenette and terrace. Around my house, it's alive, but calm. Bathroom shared. I live on the other side of the apartment (which is great) and I will be there during your stay. You have the train station and close to the sea, shops and transport too. For us, the motto is calm and simplicity. I will give you the information you need. Comfortable room of 13 m² with access to a kitchenette overlooking the terrace for your meals. A double bed. Shared bathroom. In the city center, yet you are quiet because your room is west side, far from the street. I have my private area east side and I will be there during your stay to give you the best addresses. Motto of the house: calm and simplicity. Comfortable room of 13 m² giving on the terrace to take your meal. Shared bathroom. Right in the city center, you are calm, because your room is on the west side, far from the street. I have my private space on the East side and I will be there during your stay to give you the right addresses. Motto of the house: calm and simplicity. In a nice apartment (pictured) at the foot of the most beautiful park in a well-separated area, including a comfortable double bedroom, en suite shower and toilet and a desk, perfect for a little rest (play). Facilities: TV and wifi. A 4 minute walk from the heart of the city (trade, restaurants, royal canal which hosts games), a 15-minute walk from the station (but available bus stop # 1: Henri Barbusse home, the station at apartment). An urban destination possible by this bus stop is within 2 minutes walk. Free breakfast (from 7: 30 am to 9 am 30). Guarded parking and free 4-minute walk parking. Free bicycle shelter. Desideri trovare una locazione a Balaruc-les-Bains ? Balaruc-les-Bains è un'affascinante città situata in Francia. Con Roomlala, gli abitanti Balaruc-les-Bains sono felici di accoglierti, poco importa la ragione della tua locazione (turismo, viaggio, lavoro, stage, studi, ecc.). Il sito è a tua disposizione per aiutarti a trovare una locazione arredata a Balaruc-les-Bains o una camera presso l'abitante a Balaruc-les-Bains. Quale é la differenza? Affittando una camera presso l'abitante, affitti principalmente una staza, nell'alloggio di un abitante di Balaruc-les-Bains. Trovare una locazione arredata a Balaruc-les-Bains equivale ad affittare un monolocale, un appartamento o una casa in cui il proprietario non vive. In entrambi i casi, le locazioni offrono servizi obbligatori. Grazie a Roomlala, puoi trovare un coinquilino o dei coinquilini a Balaruc-les-Bains. Se hai già trovato un alloggio (casa, appartamento), puoi semplicemente publicare un annuncio gratuito per cercare i tuoi futuri coinquilini. Se non hai ancora un alloggio o dei coinquilini, puoi trovare una coabitazione a Balaruc-les-Bains, nel quartiere che più Balaruc-les-Bains ti piace, per brevi o lunghi periodi (camera in affitto al mese, all'anno). 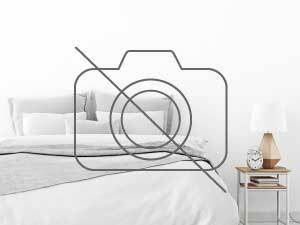 Per i brevi soggiorni, la nostra piattaforma vi permette ugualmente di cercare una camera presso l'abitante a Balaruc-les-Bains o un Bed and Breakfast (camera a notte) a Balaruc-les-Bains, in prossimità di luoghi turistici di Balaruc-les-Bains. In occasione di un alloggio per le vacanze a Balaruc-les-Bains, puoi visitare i luoghi caratteristici e passeggiare per la città. Un'altra possibilità: cerchi un alloggio in cambio di servizi a Balaruc-les-Bains ? Roomlala ti propone annunci di locazioni in cambio di servizi come babysitter, aiutare le persone anziane, sostegno scolastico, assistenza a domicilio, alloggio intergenerazionale, aiuto studenti, portiere, soggiorno au pair, ecc.